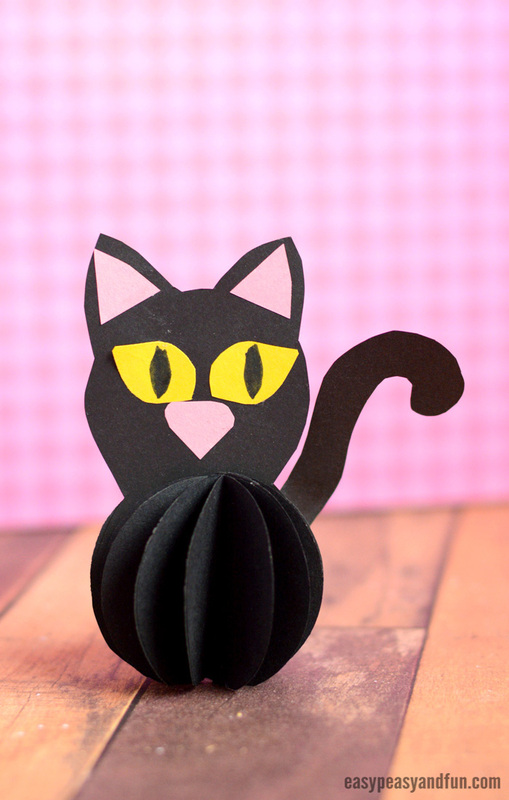 We’re back with another extremely easy (and cute) paper craft for Halloween. 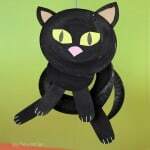 This paper ball black cat isn’t just cute, it can be used as a toy or as an ornament to hang anywhere in your home. 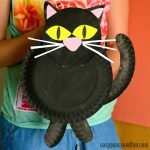 Another black cat craft has found it’s forever home on Easy Peasy and Fun. 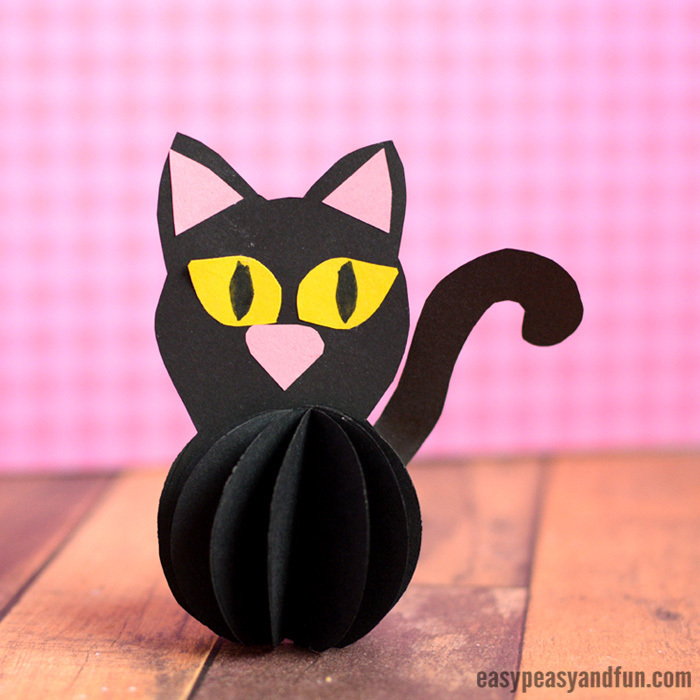 We do love making simple 3D paper crafts, as they are both fun and frugal. 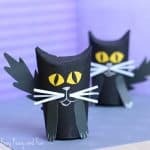 This can be a wonderful classroom craft idea for Halloween and you can make them in many sizes. 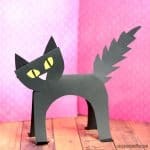 We would love to see if you make a super duper tall cat to stand in your class. 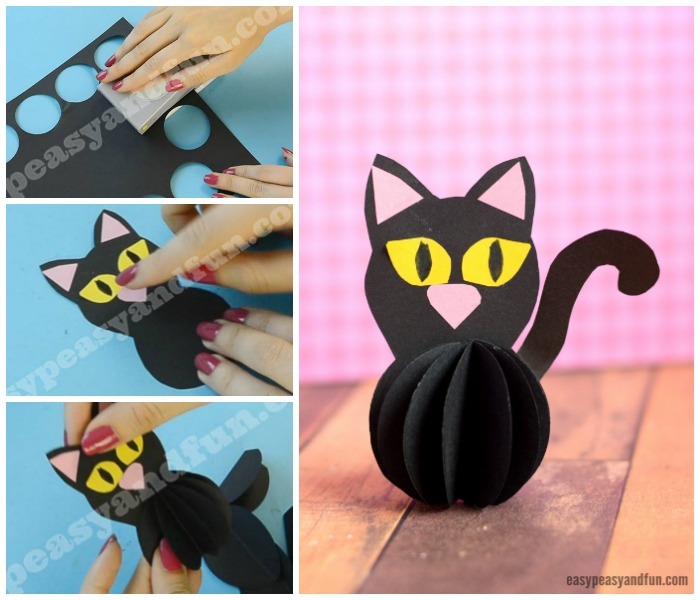 But for little frugal hands, a cat made out of small punched circles (we used a paper punch, kids sure do love to use these) will be just fine. Punch circles out of paper sheet. We bought a pack of 500 sheets of black print paper and couldn’t be happier. The more circles the merrier. 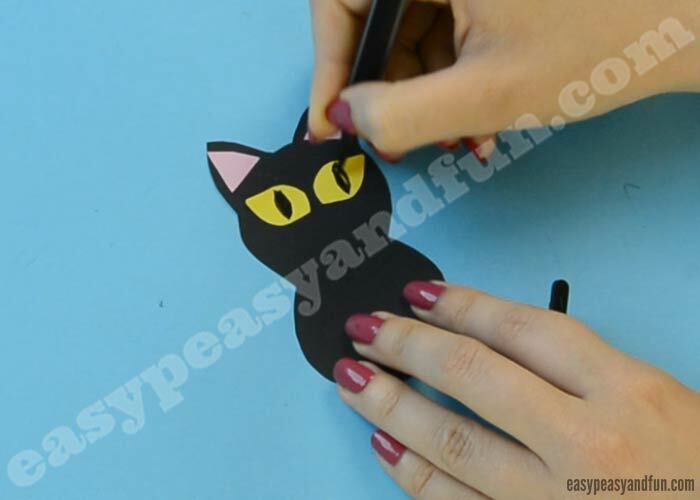 Take one of the circles and trace around it with a pencil (on a sheet of black paper). 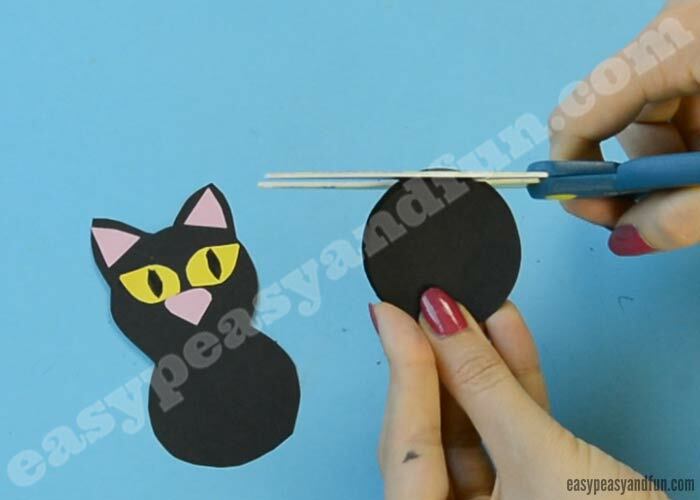 Draw another circle above that circle for the cat head. Draw two ears. 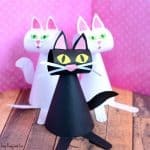 Cut out the cat’s body. Next cut two small triangles out of pink paper and glue into ears. 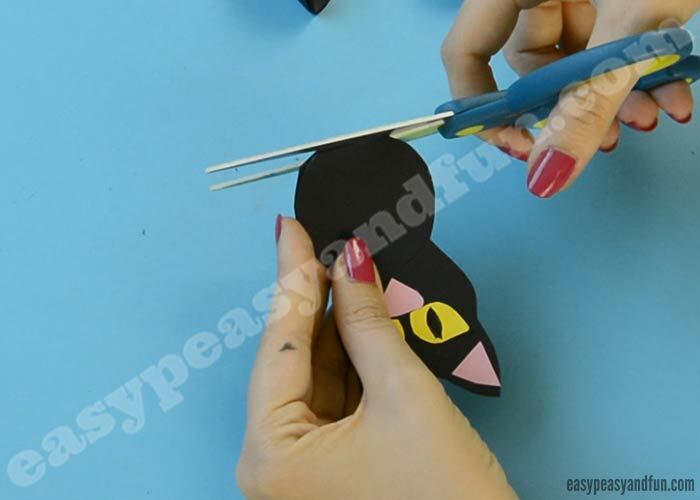 Cut two cat eyes, glue them on the cat head and draw eye lids. 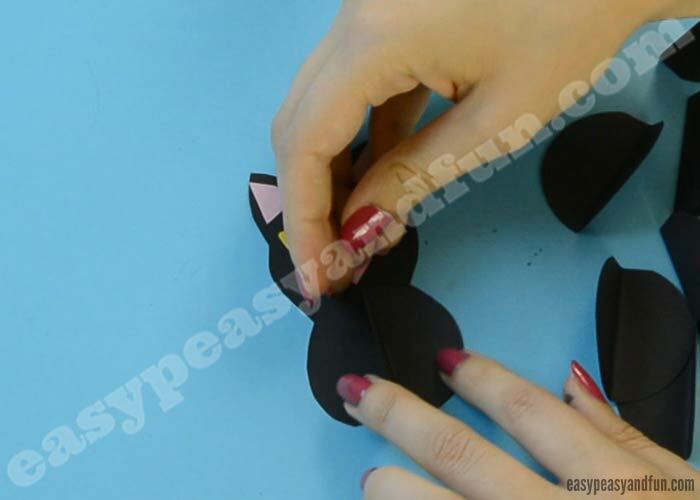 Also cut a small pink nose and glue it on the cat head. 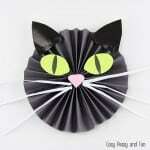 To make your cat stand, cut off a small piece of all the circles – on one side. (it has to be at the same spot for all the circles). It’s best to use one of the circles as a template to make the others. 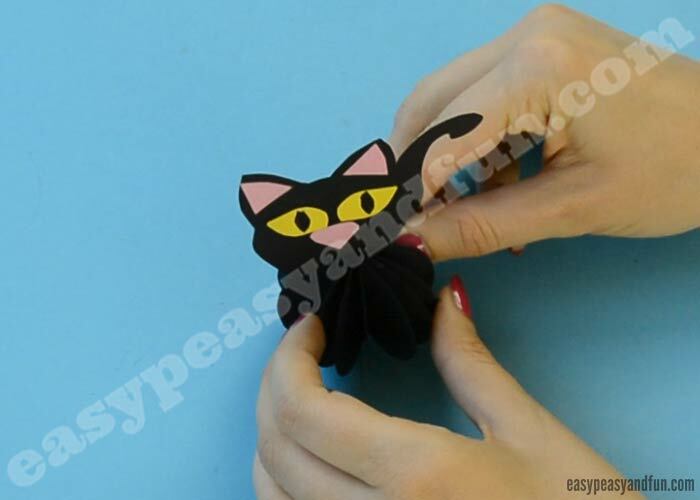 Fold all circles in half, the cut end has to be at the bottom – folded right through the centre. You need to do the same with the cat body. 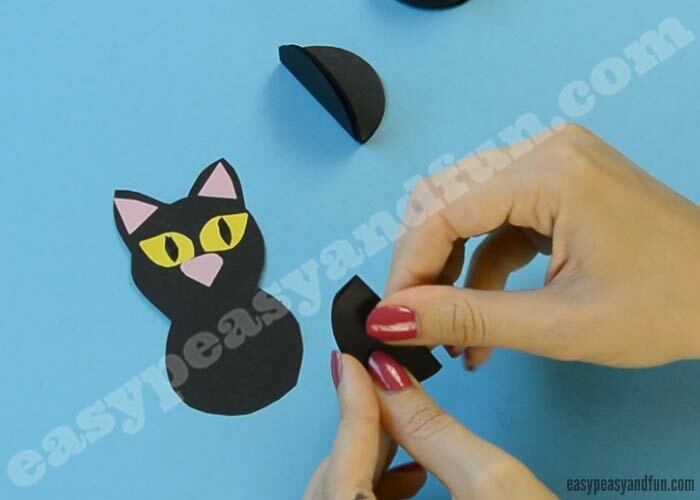 Alternatively, you could cut off the bottom of the circles once the cat is already assembled (might be an easier way for young crafters). Apply glue on one half of the circle. Continue until you are happy with how the cat’s body is starting to look. Turn around and glue circles on the back of the body too. 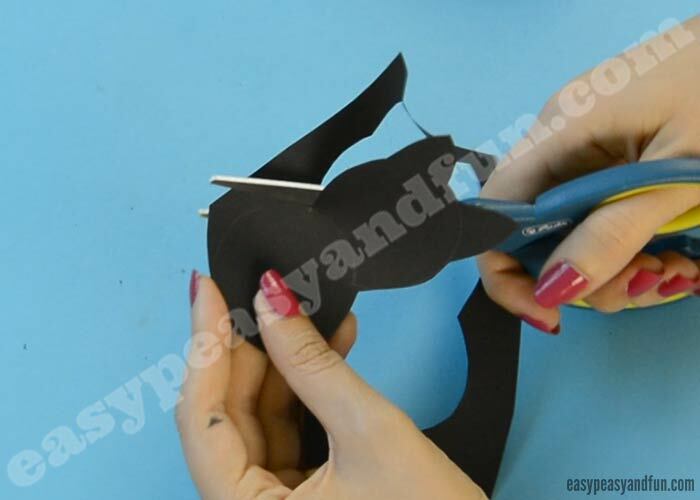 Cut a tail shape out of black paper. Glue it on the body.